So here we are, November and almost at the end of 2014. Man this year has really flown by, I hardly noticed where the time went. Oh, well talking about how this year has gone will have to wait until next month. So I have a whole lot of work in front of me in November, I’m going to travel and hold a two day course about my job in Malmö. I’ve never done it away from home, so it’s both incredible freighting and somewhat exciting. The day after that I have a meeting in Malmö and then the week after that I’m going go on a two day course myself. And then there are a couple of smaller things. So yeah, I’m booked for almost two weeks. But like I said its nice and I like doing this, I’m just a bit terrified about the traveling. I’m not to fond of that since I’ll be going alone, even if Malmö is pretty close. 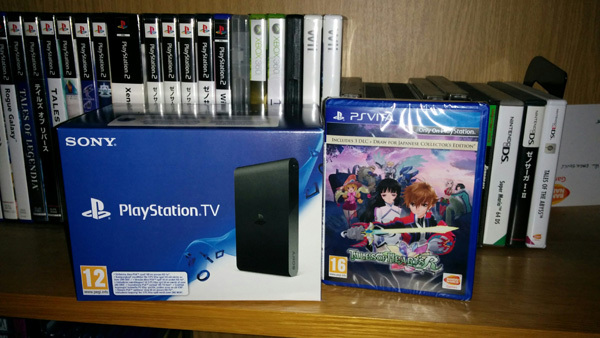 In 9 days I’ll finally be playing Tales of Hearts R on PlayStation TV! I’m really looking forward to that! TOHR will most likely be my last JRPG for this year, then I will have to try and get started with The Last of Us Remastered. 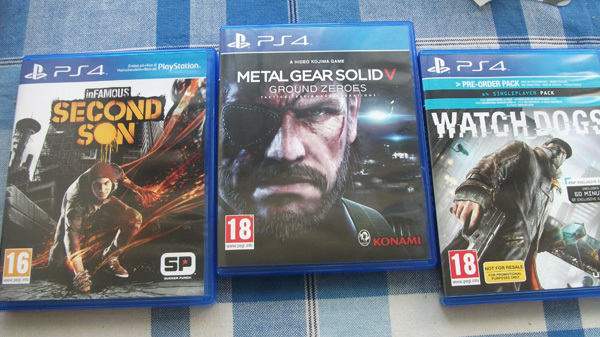 Sure I played the original on PS3, but I want to play it again and see how much “better” the PS4-version is. I also want to play the new Tomb Raider again, finally got a hold of the Definite Edition so gotta get through that too. Next year will be a crazy year for gaming, Final Fantasy Type-0, Xenoblade Chronicles X, Tales of Zestiria, Batman Arkham Knight and many more! My gawd! I finished the second season of The Walking Dead game, pretty good. The first season was a bit better, but this was good too. I also beat The Legend of Korra game, I’m not so sure what I think of that… I liked parts of it, others not so much. I wish it was more polished, had a bit more variety to it. If you like Korra and Platinum Games, sure give it a try. But perhaps buy it when it’s discounted. I know there was something else I really wanted to write about, but for the life of me I can’t remember what. Hm… So I guess I’ll leave it at that today. Thinking a bit about doing a third YazTalks, just have to find a subject to talk about and I would like to make it better. Just wish I had the time for all the stuff I want to do. I’ve added a new section to the sidebar too the right, you now have direct links to all of the reviews I’ve written so far for PSSverige.se. And I’ll keep updating it with all the new ones I write, so now you can access those reviews fairly quick from my site. Don’t forget they are all written in Swedish, but please do comment on them if you can. I have an upcoming review of Knack and that will be my first PS4 game review and currently I’m playing LEGO Marvel Super Heroes for the PS4. So that’ll end up as a review soon too. So I hope you’ll check those out too when they are up on the site. I’ve also been playing a bit more on RESOGUN, it pretty easy to get hooked on that game. I just wish the game had more music to fill my taste, its good but not really my cup of tea I’m afraid. I prefer something more… Metal or rock, I think that could fit this game just as well. I’m also going to the cinemas later today, finally going to watch Thor: The Dark World. Bet this is my last chance before they remove it from out cinema. Hopefully there won’t be a bunch of people there either, so I think we can relax and enjoy the movie without any bothersome people there.